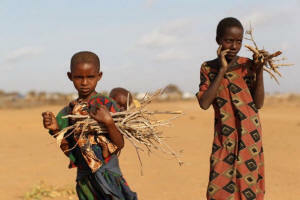 DOLO, Somalia — The displaced first began coming through Dolo, just a few miles from the Ethiopian border, in March. Now, the trickle has become a flood. The new arrivals clutch small bags of clothes and other meager possessions. Their children are thin, some emaciated. Almost every child appears small for his or her age. But they are the fortunate ones: They have survived their journeys, at least for now.